The change in Defense Department policy would open up online exchange shopping privileges to about 18 million more people. It won't apply to shopping at brick-and-mortar exchange stores. 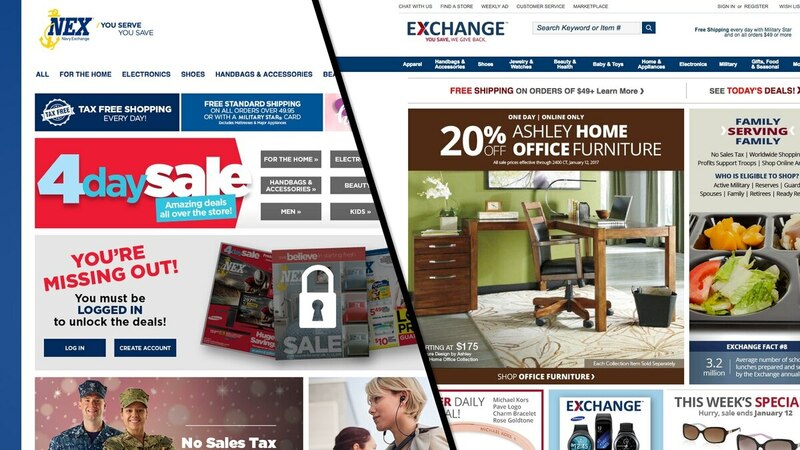 AAFES and NEX now have online shopping sites that are open to all eligible military exchange shoppers regardless of service branch – www.shopmyexchange.com and www.mynavyexchange.com, respectively. Those eligible are limited to active duty, Guard and reserve members and retirees, along with dependent family members, and 100 percent disabled veterans (and certain others). But most of those who leave the military before retirement – about 90 percent of veterans – aren't eligible to shop at exchanges. Pentagon officials have been deliberating whether to extend the benefit for nearly three years. In 2014, AAFES CEO Tom Shull said he proposed the idea as a way to give "a modest benefit to honor the service" of those who left the military before retirement age. He noted that among this group are many veterans with four, five or more combat deployments in the post-9/11 era. Retirees won't be the only beneficiaries, according to an internal DoD document: Expanding the online customer base will strengthen the exchanges' online business to better serve the customers, and the expansion is expected to "conservatively double the exchanges' online presence," thus yielding better prices for customers and more competitive merchandise. Exchanges sell items at a discount, without a sales tax, and any profits after operating costs are either returned to the services' morale, welfare and recreation programs, or used for construction and other improvements to stores. Thus, officials expect the expanded benefit will also help shore up the financial situation of morale and recreation activities, which have been under budget pressures. Exchange officials project between $18 million to $72 million in extra profits each year when the program is fully implemented and matured. Based on the exchanges' current dividend policies, the extra profits will add about $9 million to $36 million in dividends to installation morale, welfare and recreation programs. Generally, half of exchanges' profits go to MWR and half go to improve facilities. Since 2014, AAFES officials have been working toward the goal of preparing for an expanded customer base, including revamping and relaunching their website. One issue will be verifying eligibility: The Defense Manpower Data Center serves as the sole source for verification of military customers and has electronic records that could verify about 87 percent of veterans. Veterans not in the system will be able to update their files. Initial DMDC setup costs of about $500,000 will be reimbursed by AAFES, according to an internal document.